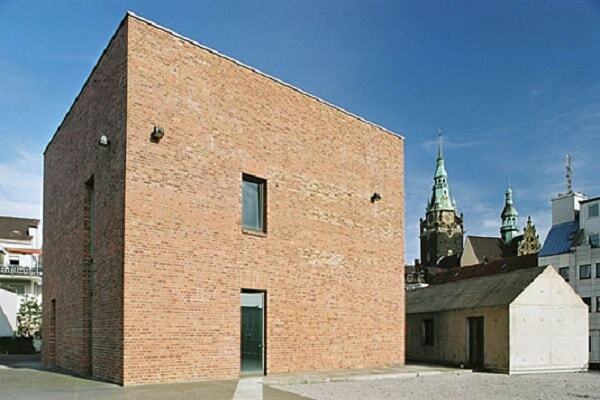 Since April 2011, the meeting place Old Synagogue is also a Jewish Museum - the only one in the Bergisches Land. In the permanent exhibition you can learn a lot about the Jewish religion and history in the Wuppertal and the region. Objects, documents and photographs illuminate Jewish history since its inception - the oldest document dates back to 1682. The difficult everyday life of Jews during the "Schutzbriefe" period is just as much a topic as the struggle for their emancipation in the 19th century. How do you imagine Jewish life between synagogue and working world? What did the Bergischen synagogues look like and how was the service? In the 1980s, a dignified design of the place had been demanded from different sides. But only in 1994 could the architecturally and urban planning outstanding building be inaugurated (architect office Busmann & Haberer).